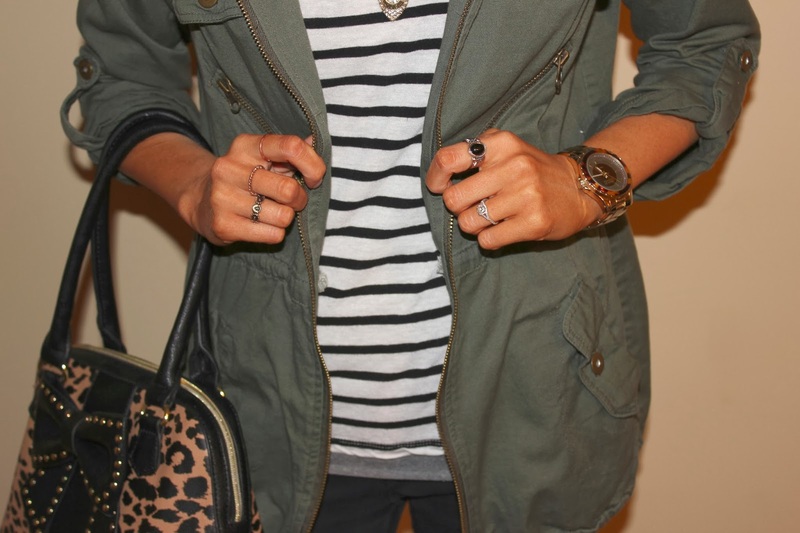 Once Upon a Closet: Stripes, and Leopard, and Utility Jackets, Oh My! I wear this utility jacket so much! It can be worn so many different ways. It looks great with everything....jeans, shorts, and even layered over a dress. This won't be the last time you see this jacket in my posts! P.S. I gave myself wavy hair with my straightener and then teased it (I'm a big believer in teasing the hair)....and you guys, it was so big. Needless to say, the poodle hair needed to be pulled back. It was best for everyone. Maybe I'll rock it another day....like when it's not raining, causing my hair to double in size.